We are delighted to have a great lineup of presenters who will share their expertise and experience with you in an awesome range of new and innovative workshops and master classes. Presenters include Polestar President, Dr. Brent Anderson, PMA President Shelly Power as well as Polestar International Presenters Alexander Bohlander, Alice Becker, Serafino Ambrosio, Juan Nieto, Cat Gianitto and Kimberley Garlick. We will also have some great Polestar Asia presenters on the team. Learn , network and have fun….this is an event not to be missed! This event is open to all Pilates Enthusiasts and space is limited – make sure to register before the 15 April 2016 to enjoy the early bird discount! 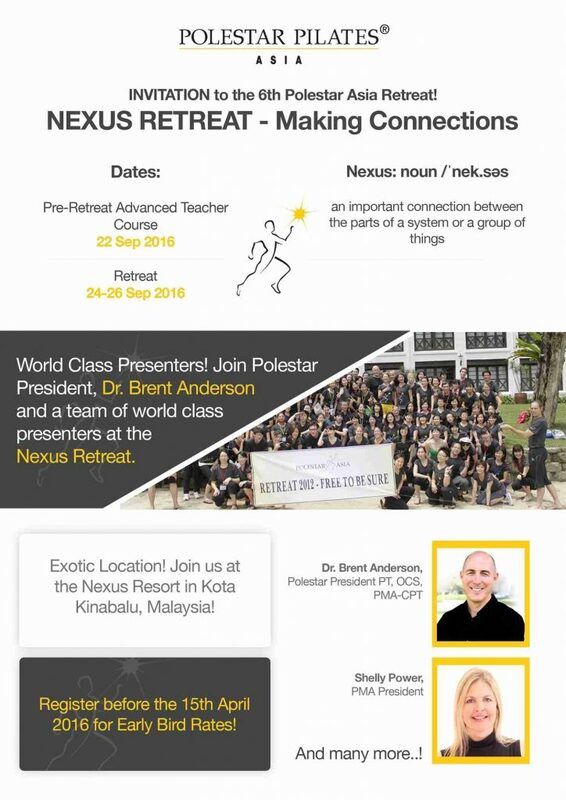 The Retreat will be held at Nexus Resort and Hotel – Kota Kinabalu, Malaysia. Enjoy your Pilates Retreat and a luxurious beach resort!